You’ve started to realise why water is important to you and discovered its importance for other FreshWater Watchers. So let’s consider what else we know about the importance of water for the human body, society, and the environment that we live in, even (or especially) if we live in urban areas. Life on Earth depends upon water. Fresh water and the ecosystems they support are critically important to the planet. Poor water quality can disrupt how ecosystems work and be harmful to human health. In fact, more people die from poor quality water every year than from all forms of violence, including war. However, in the 21st Century, human activity places enormous demands on this most precious resource through land use change, pollution and excessive water use. Water pollution is on the rise globally, meaning that clean water is getting harder and harder to find. Yet, by 2030, our world will need 30% more water to satisfy the growing demand for this resource. But we don't know what can be done to help improve water quality and availability for the future. At Earthwatch we believe the first step in protecting our precious water is to find out the truth about our rivers, streams and ponds. So we need to do some research. By doing scientific research, we can pinpoint behaviours that are affecting our water resources. Then we can help individuals, businesses and policymakers by providing scientific evidence to identify what needs to change to reduce our impacts on fresh water. FreshWater Watch is doing exactly that by monitoring water quality to assess the health of freshwater ecosystems all over the world. Anyone can become a scientist at some level and help us build a better understanding of the world around us. It starts with a little curiosity about something we don’t know or understand (but would like to). 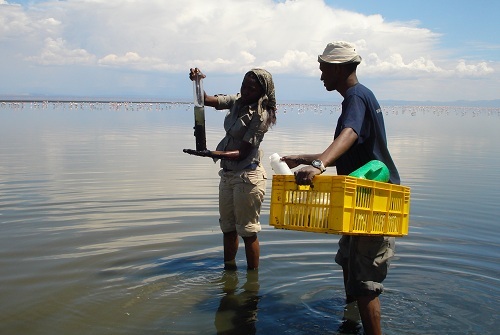 In this module you will learn how you can become a scientist with FreshWater Watch.